At a fantasy wedding there is no need of a limousine when the bride can arrive on a pure white unicorn, and the groom on a powerful striped mount. With attendants from the jungles and plains, the happy young couple set out on their journey through life together, surrounded by all the things that have meant so much to them. What a magical day, one never to be forgotten! 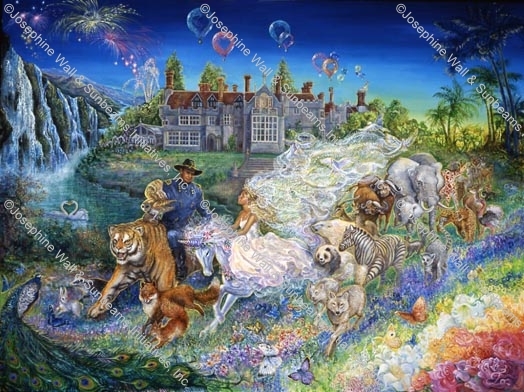 All Images and Content Copyright protected by Josephine Wall &Sunbeams Initiatives, Inc.